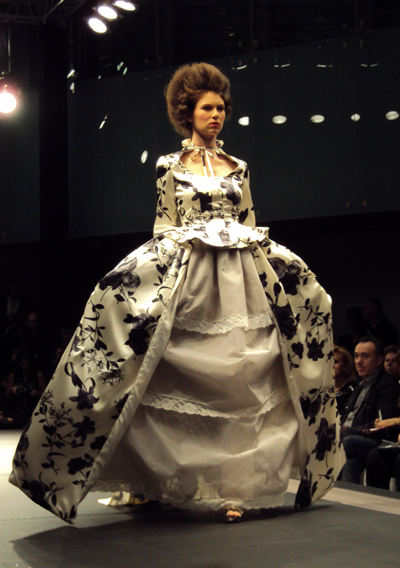 Versailles was the main theme for the Miltos collection. 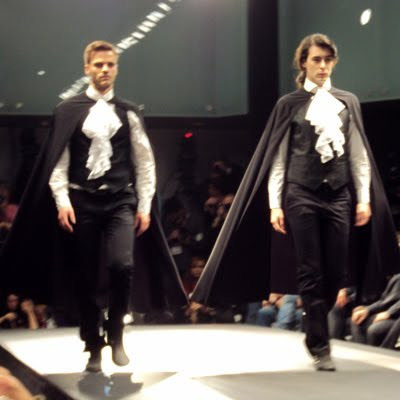 Two young men in 18th century costume, complete with capes and frilly shirts opened the show. 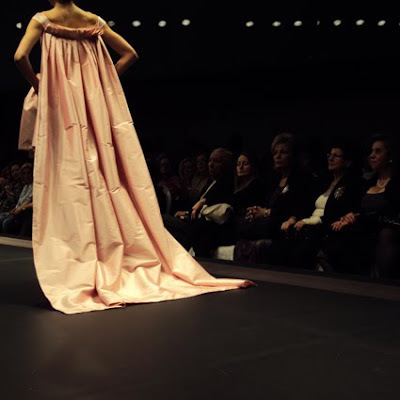 Some of the clothes presented were fairly contemporary but suitable for a more mature costumer, like the skirt suit above. Some others were more on the fresh n' girly side. 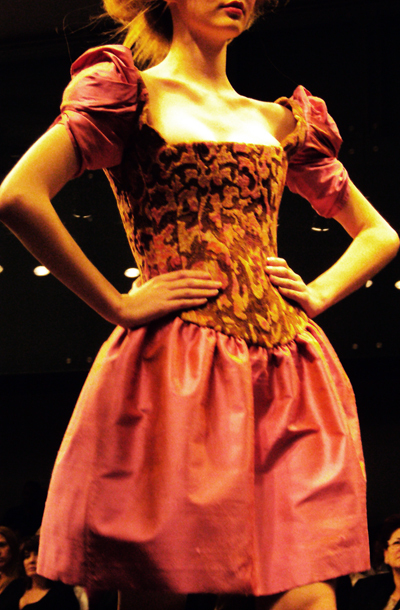 And some were totally 18th century France. My favourite was the white ensemble above, mainly because of the simple, elegant colour and the extravagant bow on the neck. 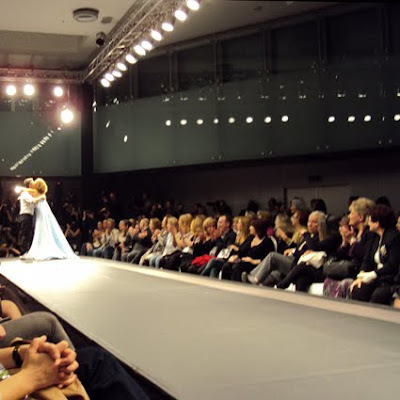 Greek TV celebrity Eugenia Manolidou accompanied the designer Miltos down the catwalk at the end of the show, wearing a sky blue full-length gown complete with a train. 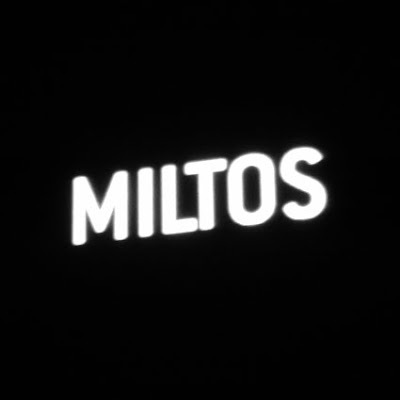 Read more on the Miltos show over at Alecca Rox, Chloe in the Sky and Life Full of Fashion.